Before THE SILVERS was created, Paul Staack and I joined Silver Laughter as drummer and bassist. And before Silver Laughter, we were together for several years in a group called The Contents Are:. I know I’ve written about that music group on this site before, but a couple of years ago a reel to reel tape from a recording session we did at Golden Voice Studios in Pekin, IL surfaced. We have good friend of the band, Wade Calvert, to thank for uncovering the previously lost tape of those songs. The thread was picked up by the fellows at Alona’s Dream Records who asked for permission to remaster the music and release the album on vinyl and CD. 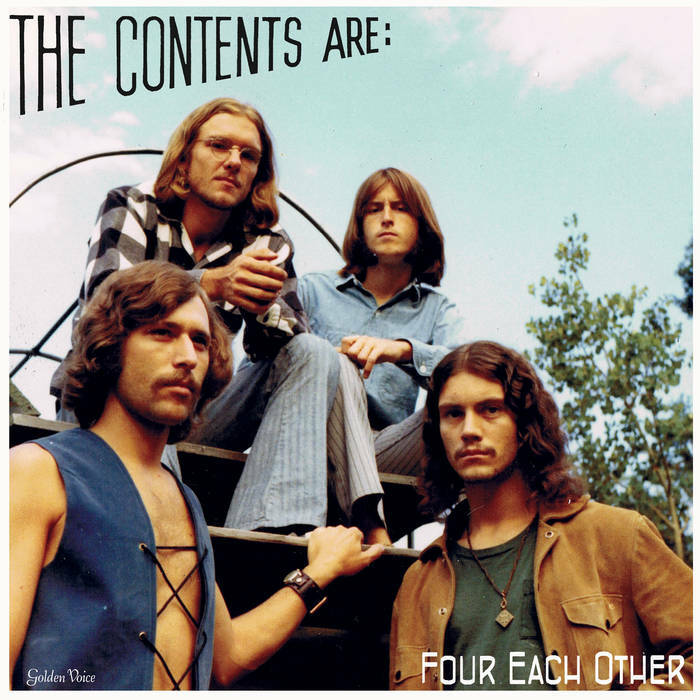 This effort was put into motion, and the album, “Four Each Other”, featuring “classic American psychedelic rock from Iowa legends, The Contents Are:” was just released on that label.